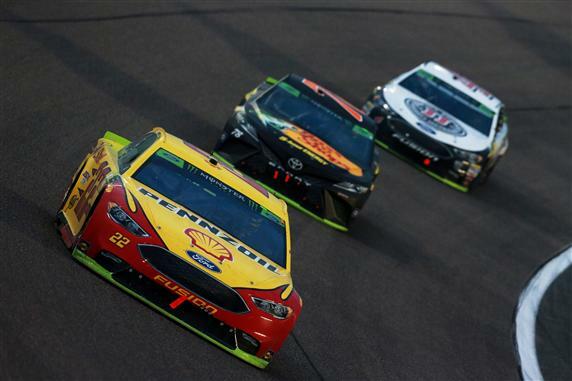 Joey Logano blazed past his nearest foe with a dozen laps remaining in the Ford EcoBoost 400 to win the 2018 Monster Energy NASCAR Cup championship for the first time in his career. The race at the Homestead-Miami Speedway marked the finale to the long 36-race season. The 33rd Cup champion drove the Shell Pennzoil Ford fielded by Team Penske. For Ford, it took both the manufacturer’s championship and the driver’s championship for the first time since doing so with Dale Jarrett in 1999. The Connecticut native won his 21st career Cup race. Going into the race, Logano, Kyle Busch, Kevin Harvick, and Martin Truex Jr. formed the final four and the only ones eligible for the lucrative championship. Throughout the 267-lap race, the title contenders ran together or at least within close proximity and each of them led laps with Logano in charge for 40 circuits. One fly in their ointment was Kyle Larson, who led 45 of the first 193 laps and while respectful of the championship element, had the advantage until crunching the outer wall hard. As expected, Larson ran topside on the 1.5-mile track to the delight of the capacity crowd. A yellow flag toward the end set the stage for the final shootout with the foursome lining up together. Truex powered ahead but Logano forged forward, passing the 2017 champion with 12 laps to go and immediately pulled away to a commanding lead, never to be headed. Truex finished second followed by Harvick and Busch, who persevered from an ill-handling car and miscues in the pits. Brad Keselowski came in fifth. 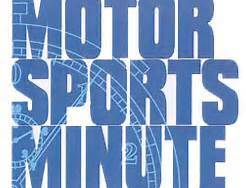 Sixth through 10th were Jamie McMurray, Chase Elliott, Clint Bowyer, Aric Almirola and Kurt Busch. Pole winner Denny Hamlin took 12th and Larson trudged to 13th.